MANILA, Philippines — Angelo Que stumbled with a disastrous backside start but remained hopeful of making it through the weekend play of the rich Maybank Championship now paced by Thomas Pieters of Belgium at the Saujana Golf and Country Club in Kuala Lumpur, Malaysia yesterday. In joint third with a 66 after 18 holes, the Filipino ace tumbled with a backside five-over 41 marred by six bogeys, including three straight from No. 14, against a birdie on No. 13. It came a day after an impressive six-under card Thursday, highlighted by nine birdies in the first 11 holes. Though he made a couple of double bogeys, he checked his skid with a last hole birdie to put himself in early contention in the $3 million event. But the former three-time Asian Tour winner bogeyed two of the first three holes in the second round, hit a birdie on the par-5 13th but found that tight fairways too tough to handle. He dropped to provisional joint 44th but hoped to rebound at the front, being played at presstime, where he sizzled with seven birdies Thursday. 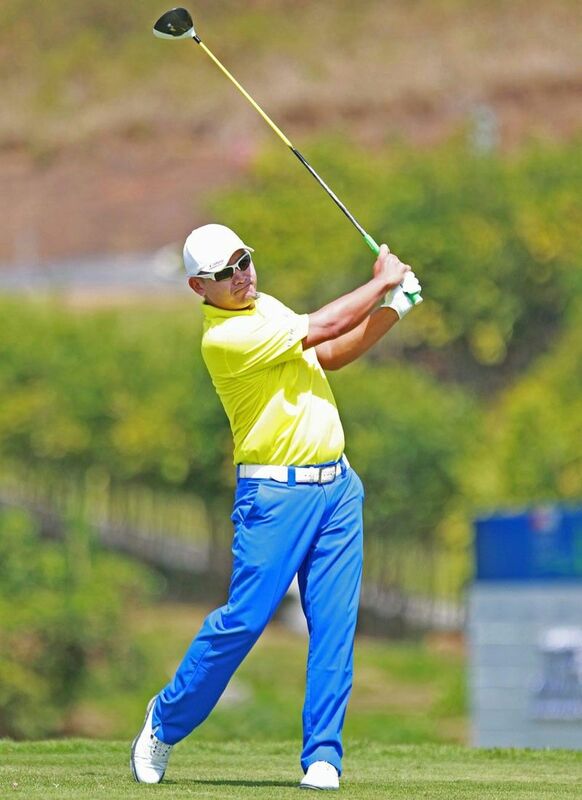 Miguel Tabuena, who limped with a 79 in the first round, withdrew due to injury. Pieters, who opened with a 67, recovered from a bogey on No. 2 with four birdies to fire a 69 in hot conditions to wrest the clubhouse lead at 136, one stroke ahead of Indonesian Danny Masrin, who shot a 67 for 137, with a host of first round leaders still to complete play at presstime. Over in Phoenix, Arizona, Filipina Clariss Guce shot a four-under 68 to trail Frenchwoman Celine Boutier by four at the start of LPGA’s Bank of Hope Founders Cup Thursday. Guce hit four birdies in a seven-hole stretch at the back to anchor her 35-33 round that also included two birdies at the front against the same number of bogeys, earning a share of 18th in the $1.5 million event. Boutier put together a solid 32-32 card to take charge by one over American Alana Uriell and Koreans Jin Young Ko and Na Yeon Choi and Charlotte Thomas of England. Dottie Ardina, however, turned in a bogey-riddled 75 and in danger of missing the cut at joint 128th in 143-player field.